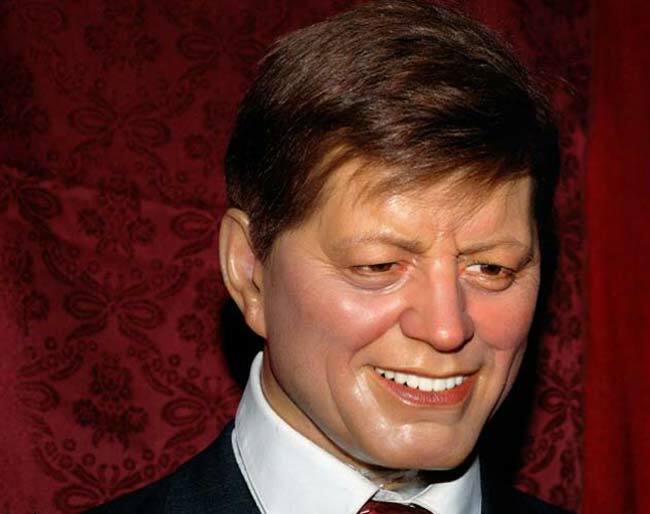 I knew Jackie Kennedy, Jackie Kennedy was a friend of mine. Senator, you’re no Jackie Kennedy. 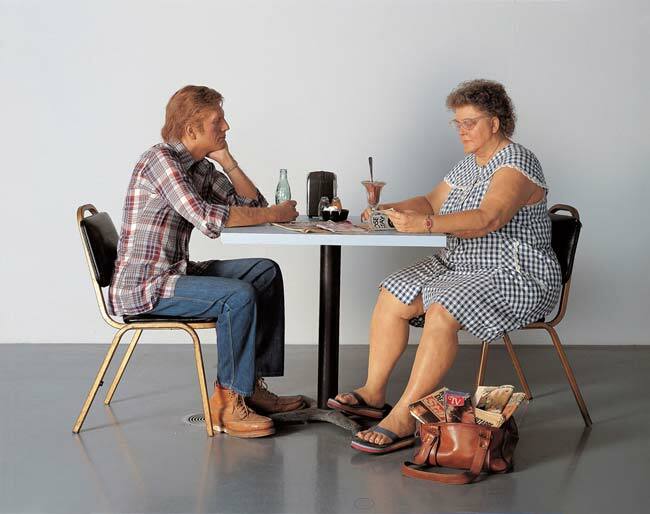 Top: Duane Hanson, 'Self-Portrait with Model,' 1979, installation view. Polyvinyl and bondo, with mixed media and accessories. Bottom: Unknown artist, 'John Fitzgerald Kennedy,' installation view, detail. Wax, mixed media and accessories, St. Petersburg Historical Museum of Waxworks (Leningrad).